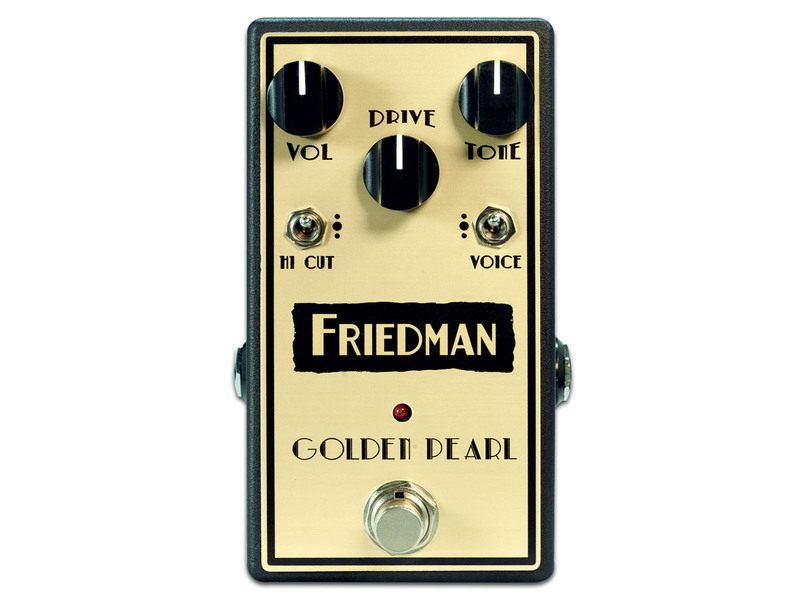 The Friedman Golden Pearl is a transparent, lower gain overdrive pedal designed to push already overdriven amps into seductive saturation. 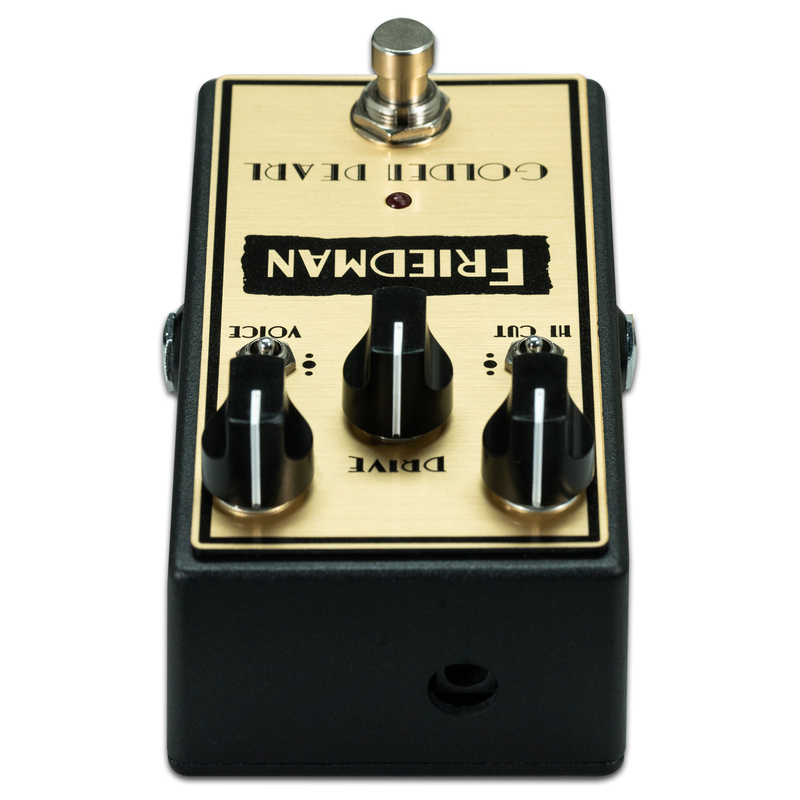 This versatile pedal can also be used into a clean amp to achieve that elusive semi-broken up tone. 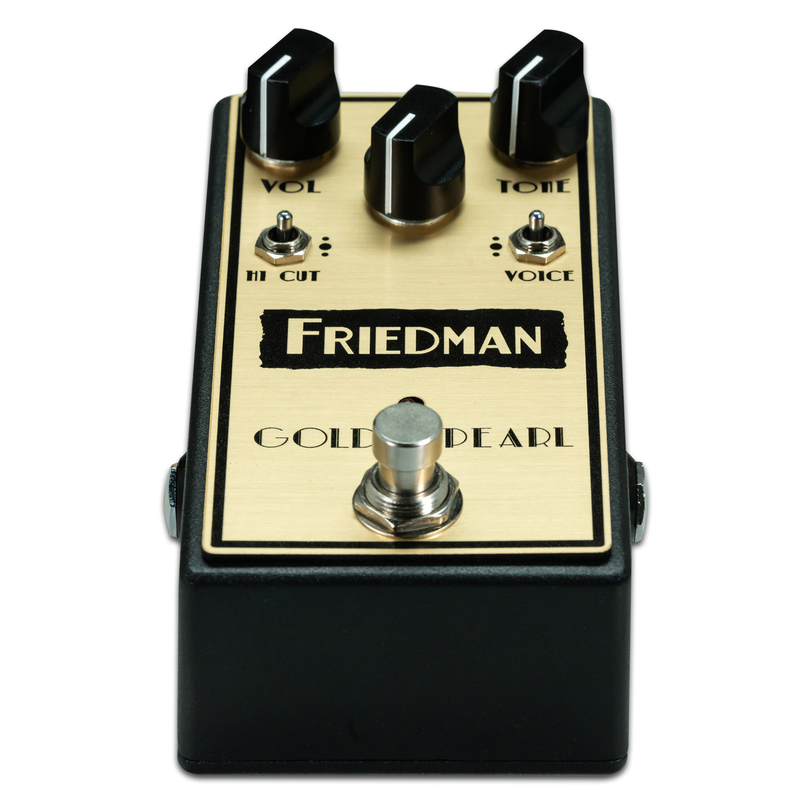 Designed to please the ultimate tone connoisseur, the responsive controls, along with the three position high-frequency cut switch, let you custom tailor the pedal to your amp. 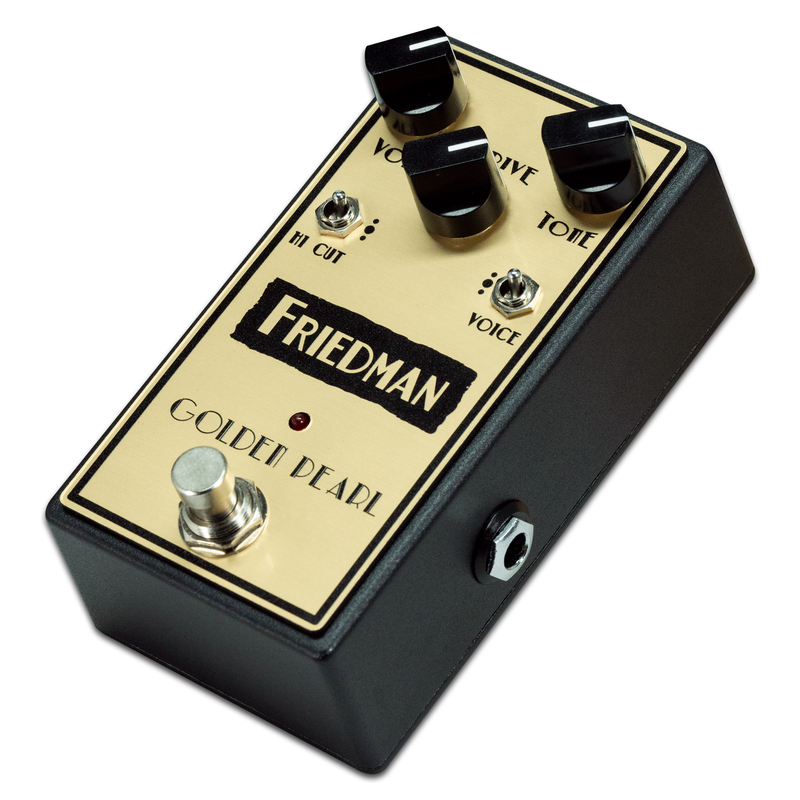 Even greater refinement is available via the tri-mode clipping mode switch, which provides LED, diode, or no clipping voice options. 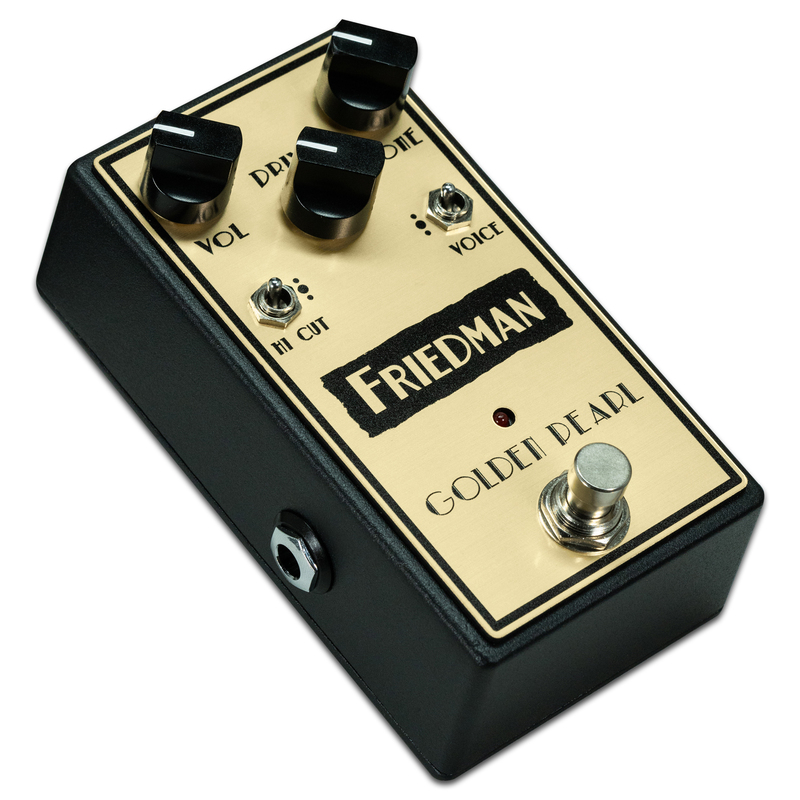 Built in the USA, and designed to withstand decades of abuse, the Golden Pearl is a must have pedal for any guitar player.